Every time I see this, I think it’s pretty odd. 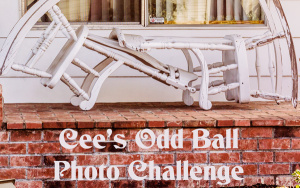 Posted on July 8, 2018, in Cee's odd Ball Photo Challenge and tagged Cees Odd Ball Challenge. Bookmark the permalink. 9 Comments.